It appears everyone could benefit from spell check, including those who make road signs. 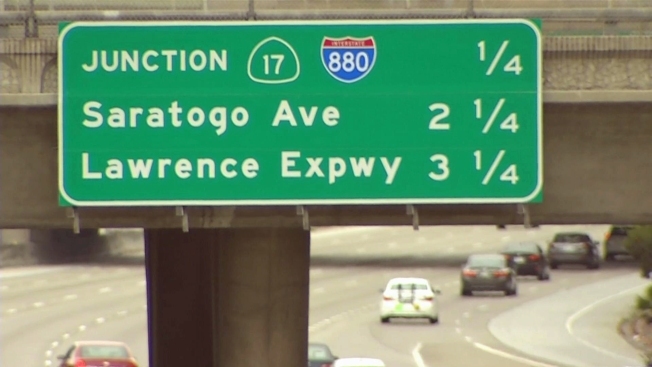 A freeway sign along Interstate 280 in San Jose inadvertently renamed Saratoga Avenue, making it "Saratogo Ave."
Caltrans says it was a mistake that might not be obvious to those who alreeady know their way around the area. "I take 280 all the time," commuter Sophia Ramirez said. "It’s funny, I’m not even paying attention to that." Thousands of drivers speed past the mileage sign every day. Those heading to Saratoga Avenue may have noticed the sign doesn't match the name in their GPS. "Someone needs to learn how to spell Saratoga," said Tony Perez. The mileage to the Saratoga Ave. exit is accurate. Caltrans says the contractor made the mistake, and a fix is coming. The agency will add a plate to the sign to cover the "o" on Thursday night. The contractor will pay for the repair. "No! No go, Saratogo," said Karen Pesher. "Sounds like a sandwich place, ha ha. Who didn’t catch that? It’s a city that’s not brand new. It absolutely should be spelled correctly and taken down and fixed." A similar situation made headlines back in 2013, when a Caltrans sign misspelled Milpitas. It's unclear if the mistake was made by the same contractor.